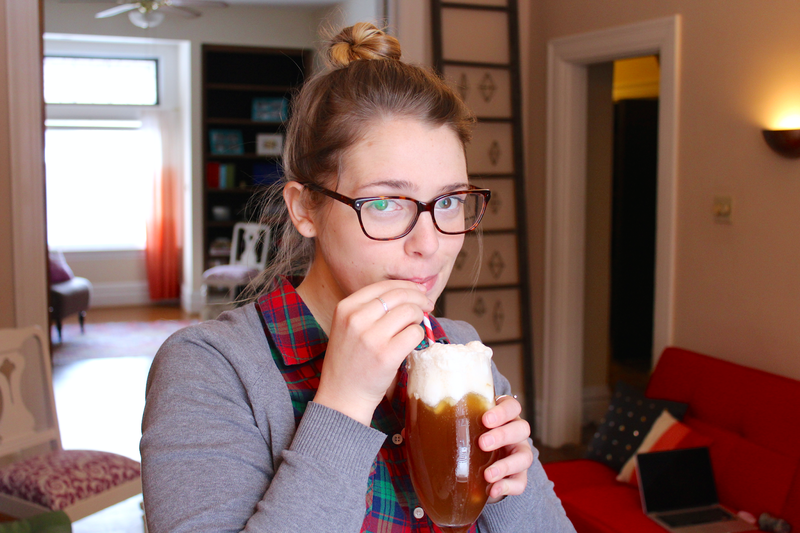 Ever since Sarah and I went to The Wizarding World of Harry Potter back in July, we've had butterbeer on the brain. 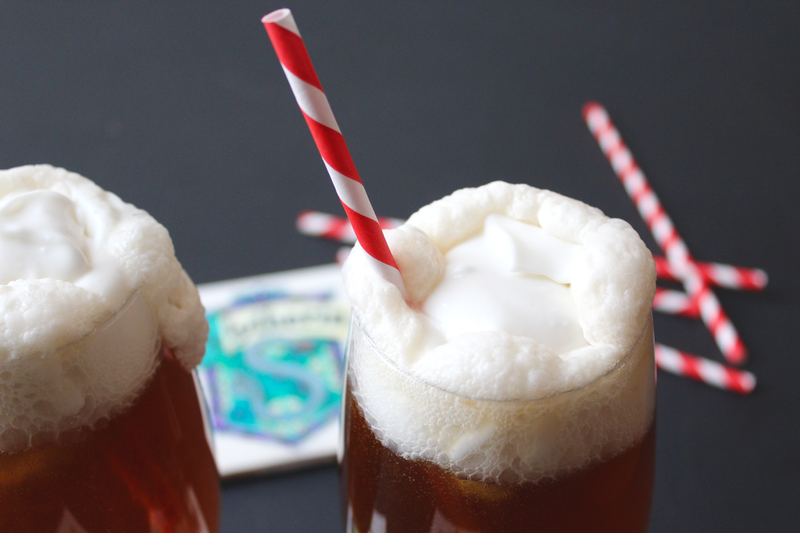 While watching the movies or reading the books, the thought of enjoying a nice butterbeer is always so enticing. 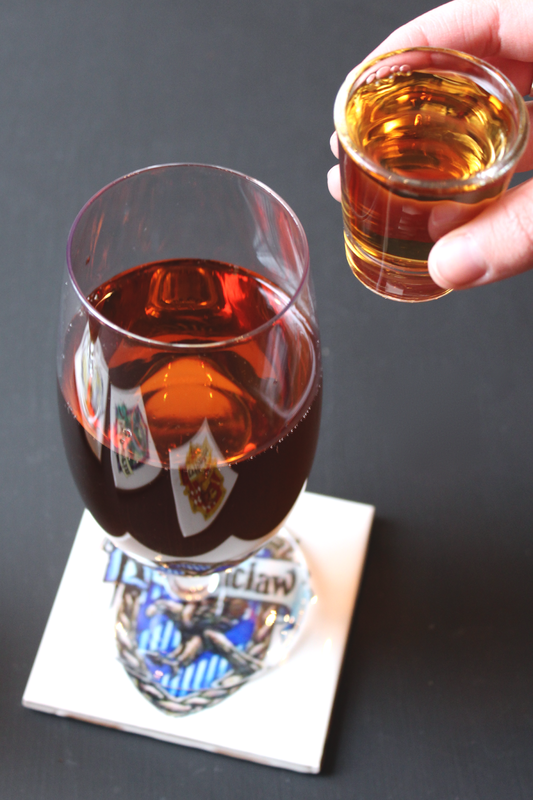 It seems like the ultimate indulgent, slightly alcoholic drink to enjoy with friends for a relaxing evening. The taste of the frozen butterbeer at Harry Potter World did NOT disappoint, and since then Sarah and I have been on a quest to make our own. Here's our take on a delicious boozy (and vegan!) 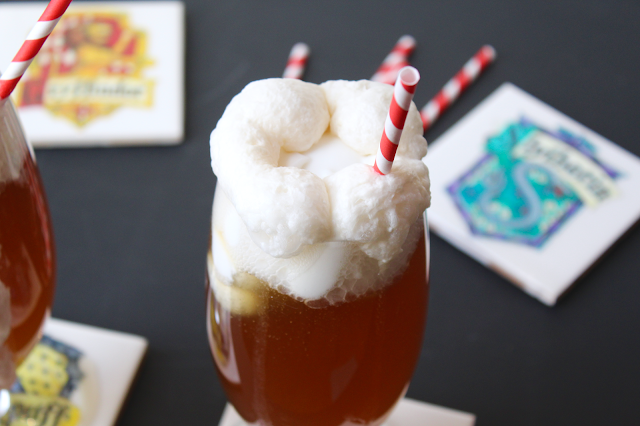 butterbeer cocktail! - Open your can of coconut milk. Be sure not to shake it, as you do not want to combine the solid and liquid parts. 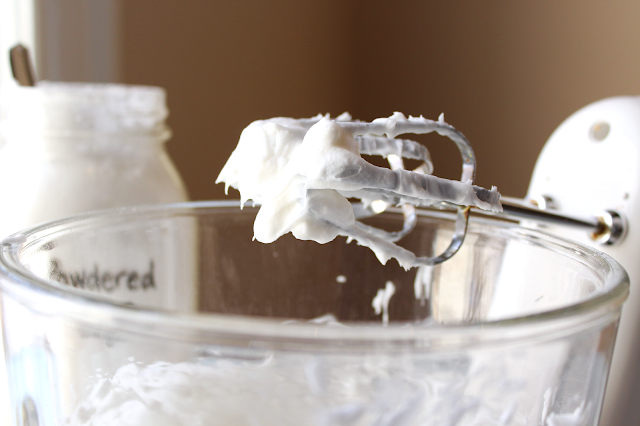 Scoop the solid milk into a mixing bowl. Save the water in the can, as you will add some back later. - Add powdered sugar and rum extract to your milk. Mix until fluffy and combined. - Spoon in small amounts of the leftover water at the bottom of the coconut milk can to thin out the topping to your liking. 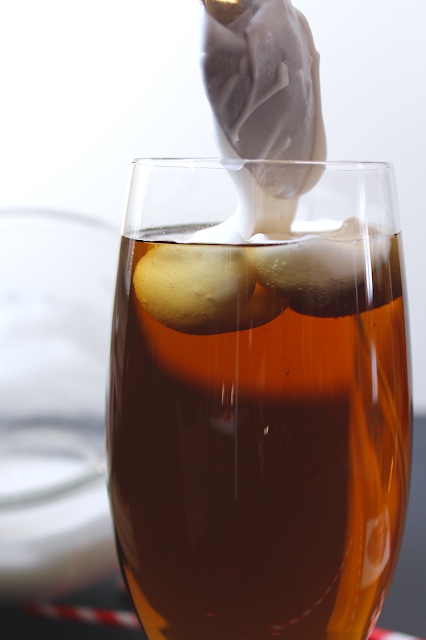 - Combine all ingredients in a cocktail glass of your choice. 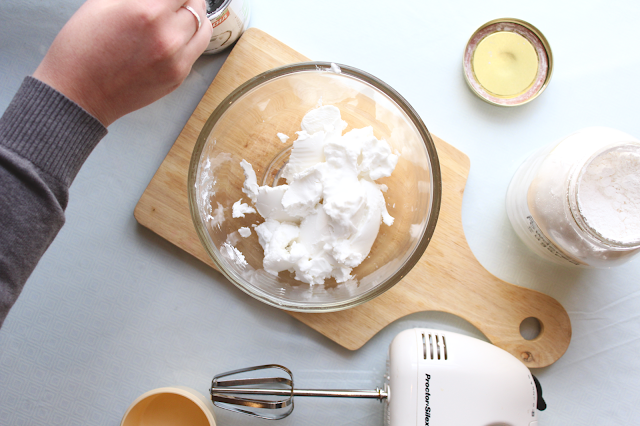 - Top lightly with your whipped topping. The topping will float if you ladle it on gently. - Add a fun paper straw and enjoy! 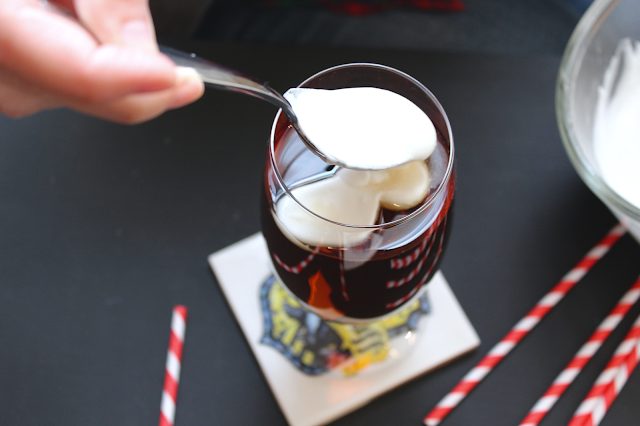 As the carbonation of the cream soda starts to interact with the coconut whipped topping, you'll notice it foam up, much like a root beer float. The more you mix it, the more it foams up! Of course, to make butterbeer without the booze, just... don't add the booze! It's still really delicious! 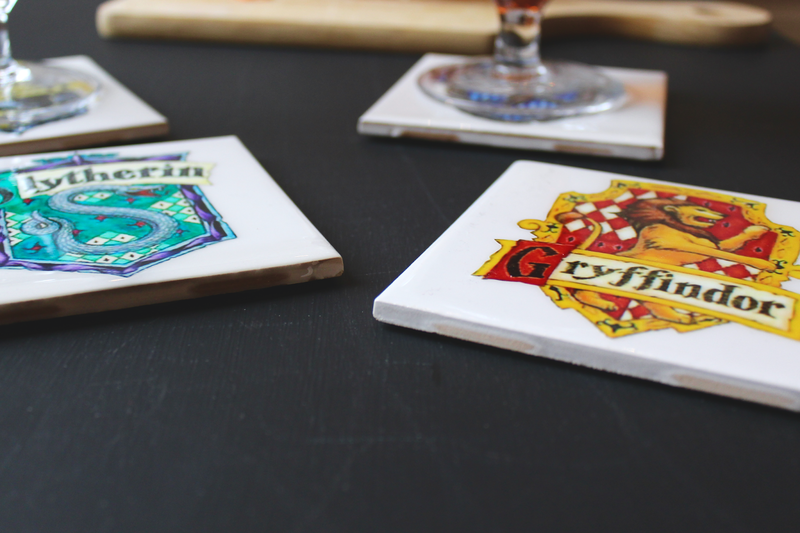 Hogwarts house coasters made by our friend Shannon! We hope you get a chance to enjoy this awesome recipe!